This is the sixth part of a multi-part sermon series covering the entire Book of Exodus. 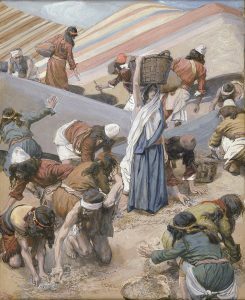 In this sermon, Dr. Thiel goes over each and every verse of chapters 16 through 19 of Exodus, and ties many parts to the New Testament. He goes over the giving of manna, Jesus being the bread of life, and facts and theories about what manna was, and if it may be provided in the future at the place of protection prophesied in the wilderness. He goes over Jethro's instructions to Moses on governance, Moses' response, and what the New Testament teaches about that type of governance. Dr. Thiel discusses various aspects of Christian living. He also ties statements about manna and "eagles wings' to prophecies in the New Testament.